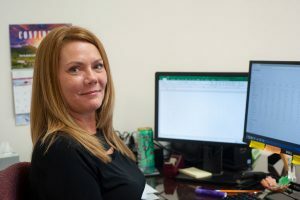 Melissa Landry joined the UMMC team as a bookkeeper in our Leesburg office in October 2018. She came to us with more than 25 years of experience in bookkeeping and accounting. Melissa serves clients in bookkeeping, payroll tax reporting, and QuickBooks set-up and consulting. She lives Herndon, Virginia, with her husband and cat and has a grown son. She enjoys time with family, hiking, and traveling.